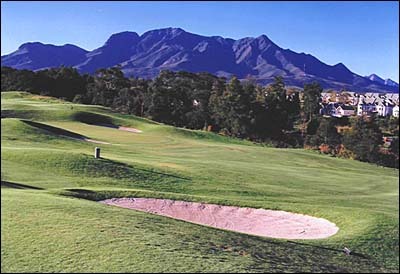 An exciting and challenging golf course offers one the opportunity of playing three different themes in one round; a thorny bushveld area, a desert area as well as holes around the three hectare lake and the Hennops River which runs through the estate. A modern, fully stocked Pro Shop is situated adjacent to a spacious functional Halfway House, which provides a full range of golfer’s refreshments. A golf driving range, four-hole mashie course, two tennis courts, and squash courts complete the picture at this superb sports club. Golf carts and caddies are available. 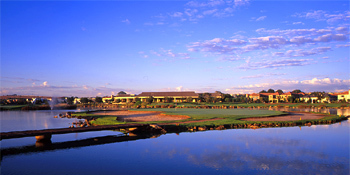 The course is closed on Monday mornings and visitors may only book for weekend golf after 14h00 on Friday. A superb restaurant, seating 120 guests, Main Bar, private function room and terrace caters for all occasions. State of the art conference facilities allow for team building and communication in a private tranquil environment.